Richard Stack, 92, Bismarck, died October 4, 2018, at Sanford Health, Bismarck. A memorial service will be held at 10:30 AM on Monday, October 8, 2018, at McCabe United Methodist Church, Bismarck, with Rev. Jenny Hallenbeck Orr officiating. Inurnment will be at the North Dakota Veterans Cemetery with full military honors. The family will greet friends one hour prior to the service and a Moose Ritual will be held 15 minutes prior to the service at 10:15 AM on Monday at the church. 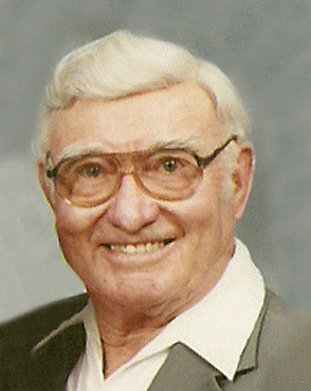 Richard was born August 7, 1926, in rural St. Anthony to EJ and Mary (Shimek) Stack. He was raised west of St. Anthony and attended country school. On June 27, 1951, Richard enlisted in the US Army. He served in the Korean War and was honorably discharged in June 1953. Richard worked as a carpenter when he returned home and maintained the family farm for many years. On August 7, 1954, he married Carol Diede at McCabe United Methodist Church in Bismarck. The two made their home in a house that Richard built and later moved to another home Richard built and have resided there ever since. Richard hated being cold, so he and Carol wintered in Yuma, AZ for 35 years. He was a member of McCabe United Methodist Church, was a charter member of the Mandan Moose Club, and a member of the Bismarck Elks, Bismarck Eagles, Amvets, and VFW. Rarely able to sit still, Richard loved tinkering and was always busy with something. He also loved fishing and spending time with his great-granddaughters. Blessed to have shared in his life is his wife of 64 years, Carol Stack, Bismarck; daughter, DeAnn Berreth, Bismarck; two granddaughters, Alisha (Mathew) Lundberg, Bismarck and Amanda Balanga, Bismarck; two great-granddaughters, Kara and Karlee Lundberg; and two sisters, Deloris Higgins, Great Falls, MT and Rosemary Renken, Mandan. Richard was preceded in death by his parents; son, Byron Stack; brother, Jim Stack; son-in-law, John Berreth; nephews, Mark and Keith Stack; and niece Cari Stack.